Can you imagine being buried alive for days, weeks, months on end? 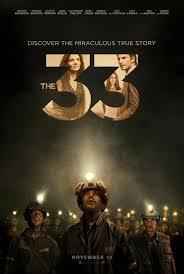 In this dramatic true story that captivated the world in 2010, a huge explosion traps 33 miners deep underground in Chile. Up top, an international team works frantically to save them. Food rations and human hope are sparse. But with deep determination and fervent prayer – both above and below ground – the miners last 69 days until liberation. 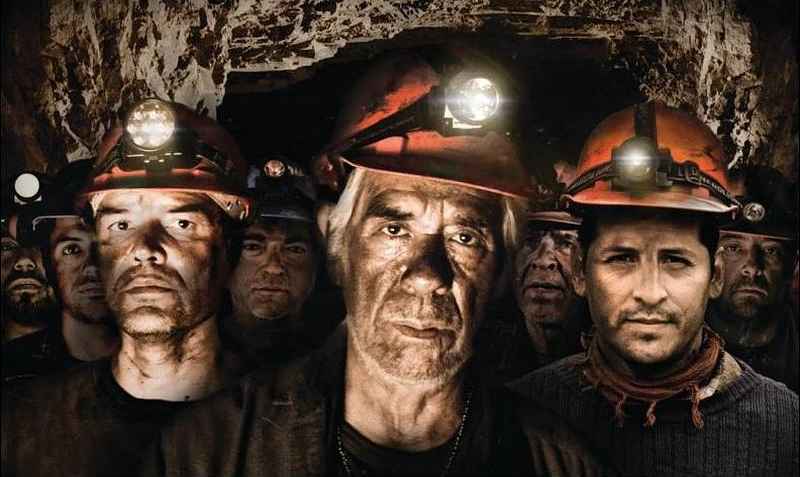 Based on Héctor Tobar's book Deep Down Dark, The 33 stars Antonio Banderas, James Brolin, and Lou Diamond Phillips. On August 5, 2010, 33 miners – 32 Chilean, one Bolivian – descend into the 121-year-old San José Mine for a twelve-hour shift. A sudden explosion sends a granite chunk twice as heavy as the Empire State Building crashing through the mine shaft, blocking all exits. The roar is deafening. One man feels as if his skull were an inflating balloon. The dust cloud at the mine’s entrance resembles a volcano. As miners regroup, they discover their long odds. Their emergency food stash has only a few cans of fruit, vegetables and fish; some condensed milk; and 93 packages of cookies – with careful rationing, maybe a week’s provisions. Some loot the food cabinet, diminishing the supply. They're 200 stories underground. Only massive drilling could reach them. Will leaders even try? Will this become their tomb? Discouragement, rage, despair, and fear of death haunt the mine. Contemplating the hopelessness, Chile's minister of mining sheds tears on live television. Alarm and mourning spread across the nation. But families and friends gather at the mine. Campo Esperanza – Camp Hope – springs up. Below ground, José Henriquez, a devout Christian, whispers to Mario Sepúlveda, "God is the only way out of this." Mario asks José to lead them in prayer. Henriquez becomes the miners' "pastor" because, Tobar writes, "as soon as he…begins to talk it's clear that he knows how to speak of God and to God." Miners pray for forgiveness, help, rescue, unity. Drillers above hold hands as they pray to Jesus for success. Camp Esperanza grows to over one thousand, with so many praying it reminds one inhabitant of Jerusalem. Miners' spirits wax and wane. Hunger and fluctuating emotions discourage Omar Reygadas. Then a mysterious, fresh breeze invigorates him. It's from "the thirty-fourth miner" he explains, meaning miners' souls and God’s protecting spirit. "Pastor" José tells fellow miners of the biblical Jonah, swallowed by a large fish after running from God. Jonah prayed, "I sank down to the very roots of the mountains. I was imprisoned in the earth, whose gates lock shut forever. But you, O Lord my God, snatched me from the jaws of death!" The fish regurgitated the repentant Jonah. Miners can relate, as if they are "living inside a Bible parable," Tobar notes. José exhorts them to look to Christ's love and peace. Finally, on Day 18, a small drill breaks through, and miners send up notes. One reads, "Estamos bien en el Refugio. Los 33." ("We are well in the Refuge. The 33.") Cheers and sobbing erupt as drillers, families, the nation, and the world realize all are alive. The film – understandably limiting detail and taking some dramatic liberties – depicts complex and intense psychological struggles. One miner's wife and his current lover both show up in Camp Esperanza. While still below ground, the miners – now international celebrities – dream of profiting from their adventure. The movie ends with the rescue. In real life, the post-rescue publicity whirlwind includes Disney World; Israel; singing an Elvis song on Letterman; Graceland; the Real Madrid soccer stadium. Despite psychological help, post-traumatic stress sets in. Depression, mood swings, nightmares, alcoholism and suicide wishes accompany re-entry. The road toward recovery is not easy, but these 33 men and all who watch can rejoice in what many still call a miracle rescue. Rated PG-13 (USA) "for a disaster sequence and some language."